2 + 7 = Required Please enter the correct value. 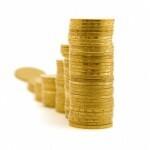 Will Gold Prices Rise in 2013? How to buy gold has taken a big leap into the digital age, thanks to something called HayekGold. The HayekGold token is a digital representation of stored physical gold. And it's linked to the Bitcoin blockchain - the digital ledger that verifies and stores every Bitcoin transaction. You don’t have to live in the world of Peter Schiff gold hysteria to find the yellow metal an attractive investment. Whereas the Peter Schiff gold price predictions are predicated on gloom-and-doom forecasts of massive hyperinflation and a worldwide financial meltdown, this shouldn’t be why you buy gold. Germany, Poland, Venezuela, Ecuador, Mexico, the Netherlands, and Switzerland are just a few of the countries that have recently repatriated their gold or hosted movements to do so. And now France joins the list. Gold Investing Myths: Gold prices have fallen for the better part of two years, but that doesn't mean that its detractors have somehow been vindicated. Gold has often been chided by some who have mischaracterized the allure. 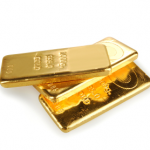 In the right allocations gold is an important part of a healthy portfolio. It can hedge against market crisis and provide returns when other assets underperform. Here four myths gold's critics harp on - and how they get it wrong. Gold prices must go up, and for the most basic of reasons - supply and demand. Yet that isn't something you hear much about in the financial media. When most pundits talk about what moves gold prices, they usually focus on things like international turmoil, the direction of the global economy, and the bad habits of central banks. So most of them have completely missed this irresistible force that will push gold prices higher. As interest rates rise federal debt will be rolled over at higher rates, increasing the federal debt burden, suggesting a tipping point for Treasuries. Will the Fed try to suppress yields with printing more easy money? Couple this with the outrageous demand for gold in the Asian giant and you have a "perfect storm" forming to drive gold's price higher. Gold climbed for the third session in a row, and is on track for its best weekly gains since April. Gold futures for delivery in August rose 0.6% to $1,256 per ounce. So is now the time to buy gold? Buyers should look to the long-term, and see declines as an opportunity to purchase. The best time to buy gold is when it hits a low, but is poised to bounce back up. Well, gold has lost more than 30% of its value over the last 9 months. And recently, other the performance of other markets are bolstering precious metals - namely, the U.S. dollar index and price gains in crude oil futures. As the dollar weakens, gold grows stronger. David Meger, director of metal trading at Vision Financial Markets, tells Bloomberg, "The weakness in the dollar is putting some bid under gold." Additionally, today (Wednesday) the U.S. central bank will release the minutes of its June meeting, and Chairman Ben Bernanke will speak on economic policy. Will gold prices rise in 2013, or will the bear market continue in the second half of the year? The bears have certainly been loud this year, as short-term bets against gold paid off in the first half of 2013. Gold lost 27% in Q1, the worst first-half performance since 1981. It was another bumpy week for gold prices that included two-week lows and a surge to seven-month highs. On Thursday, December gold futures increased $26.90 (1.5%) and settled at $1,780.50 an ounce on the COMEX. This represented gold's highest close since the end of the February. As the week comes to an end and traders waited for more news from Spain, December gold was down on Friday morning to $4.10 to $1,776.40 an ounce. Gold's price moves came from a number of factors this week including bargain hunters and weak U.S. macroeconomic data. The bottom line is that the QE3 rally might have fizzled, but the long-term gold outlook still shines brightly. Gold prices have made the most out of a short trading week, and today jumped $10.50 to $1,704.50 an ounce at the Comex division of the New York Mercantile Exchange. Gold, which one year ago today hit a historic high of $1,920 an ounce, came out roaring Tuesday after the Labor Day holiday. Gold closed up 2.55% to reach a more than five-month high of $1,700. This came from increased investor hopes that the U.S. Federal Reserve will deliver QE3 to give the slowly-recovering economy a much-needed lift. U.S. Fed Chairman Ben Bernanke's remarks from Friday's Jackson Hole, WY speech served as the gold price catalyst. "Taking due account of the uncertainties and limits of its policy tools, the Federal Reserve will provide additional policy accommodation as needed to promote a stronger economic recovery and sustained improvement in labor market conditions in a context of price stability," said Bernanke, giving enough of a hint that QE3 was on the way in 2012. Gold ETFs also started strong in September after a healthy performance in August. On Tuesday, SPDR Gold Trust (ETF) (NYSE: GLD) holdings, the world's largest gold-backed ETF, increased to 1,293.138 tons. This is the highest level since mid-March. GLD's price also jumped 1.77% to 163.36.